Sohail offers a FREE first / introductory lesson! I am a results-driven and innovative individual who is passionate about setting realistic goals and achieving them efficiently and timely manner. I am a very confident, diligent, decisive and analytical person who is able to achieve anything and everything. An influential leader with the ability to lead by example and ability to motivate a team. A passionate individual with "I wants to make a difference" attitude. Good spoken and written communication skills. Excellent 'people skills' for building relationships in a new environment with Colleagues/Customers and clients. The ability to plan and prioritise objectives and optimise the outcome. Calmness under pressure & Decision-making ability. Accuracy and precision with a believe in quality and not quantity. I started teaching at a very early age of my life, in private academies, where I used to teach from basic windows operating systems to complex computer algorithms ranging from age 10 to age 40. I enjoy teaching and consider every student as a challenge and that makes it all interesting for me. Teaching is an ART I consider and my approach to grinds is totally dependent on the student who is in front of me. My final goal is student's satisfaction. I believe every human being is born with their own ability to absorb knowledge and their level of getting proficient at that knowledge. I am willing to build on whatever level of knowledge a student comes to me with. I do give home work on regular basis and do expect to student to put in time and effort and check the homework before starting the next grind. I want the student to understand the investment they are making and I want to understand their expectation at the end of it all. I have made the first grind FREE for a limited period of time just to reach out to those students that hesitant in take up a tutor from FirstTutors & want to decide after they have had an exposure to the grinds. I will keep this option open as long as my bandwidth allows me to. SohailFrom Doireann (5/5): (Senior Cycle Maths) Absoutely fantastic tutor. Reply from Sohail: Thank you for the feedback. I am glad that I was able to help. SohailFrom Caroline (5/5): (Senior Cycle Physics) Have only great things to say about sohail!! !very helpful in every way possible!!! A great tutor to my son & always available to take a call if needed! 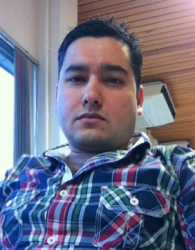 !couldnt be happier with sohail,very friendly,helpful & patient guy & great tutor!!! Reply from Sohail: Thank you ever so much Caroline, you are extremely generous and I am glad, I am able to help. Reply from Sohail: Thank you for your feedback Heather, I will continue to work with Cian and develop with Maths and Science skills.